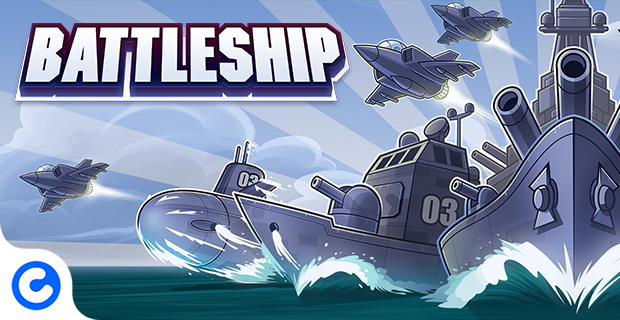 AMSTERDAM, November 16, 2017 – Today, CoolGames released Hasbro’s Battleship for Instant Games, the new games platform of Facebook Messenger. More than 1.3 billion Messenger users can now challenge each other and instantly play this game against friends on their mobile phone. Hasbro’s classic board game edition was first released in 1967 and millions of copies have been sold since. Hasbro Inc. is still selling Battleship in over 50 countries worldwide today. Battleship for Facebook Messenger is a turn-based multiplayer game, where users can engage in many battles against several friends. And through CoolGames’ matchmaking system, it also provides the opportunity to challenge random players who are not your Facebook contacts. Special power-ups such as the Air Raid can be unlocked to help sink your opponent’s ships. Battleship for Instant Games is developed by CoolGames’ in-house studio and is based on HTML5 technology. CoolGames was a launch-partner for Facebook Instant Games in November 2016. Other successful titles that were released on Messenger include Arkanoid, Snake and Jewel Academy. CoolGames plans to launch several new AAA titles for Instant Games in the coming months.